The Chicken Recipes Kitchen (The home of delicious chicken recipes) invites you to try Chicken bites Recipe. Enjoy our collection of quick & easy recipes and learn how to make Chicken bites. 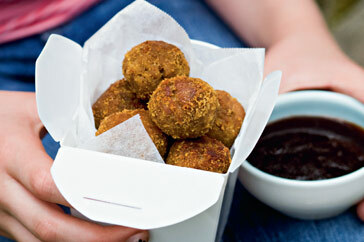 Pop these bites in a noodle box, then serve with barbecue sauce for dunking.